The trip was arranged way in advance. I was invited in May by TELUS (Tree Canada Ultimate sponsor) to attend a special announcement in Calgary. I was obviously excited and honoured. Who was to know that a mere six weeks later, southern Alberta would be hit by the worst flooding in recorded history. In the days leading up to June 20th over 200 mm of rain fell in the Bow and Elbow River valleys (over half the year’s normal precipitation) – areas which had already received much rain. 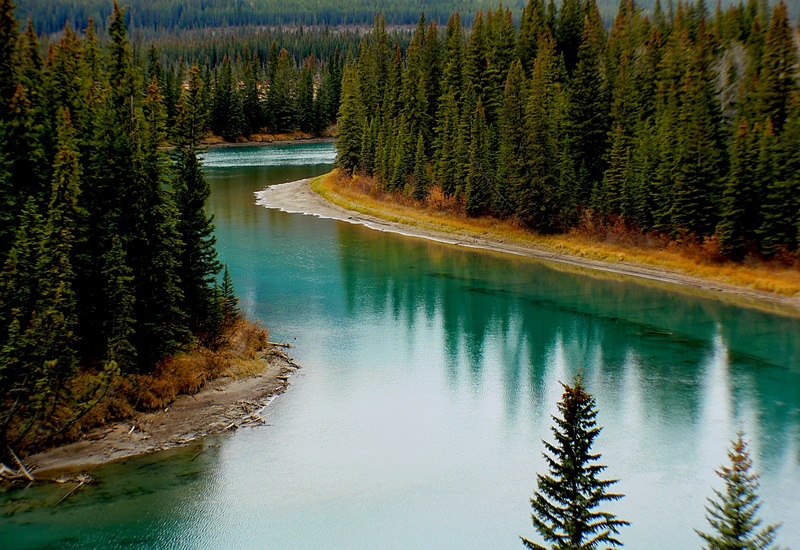 Then because of the shape of the river valleys the water moved down to Calgary very quickly. In the space of a day or two, the flow of three rivers rocketed up five to 10 times their normal rates. The results were devastating. Four people were confirmed dead and over 100,000 people were displaced throughout the region. By June 24, some 2,200 Canadian troops were deployed to help. As communities began to flood and people became displaced, area residents mobilized to offer support and assistance to evacuees and emergency response personnel. The city’s largest arena, the Saddledome was damaged as flood waters filled up the first ten rows of seats. The Calgary Stampede grounds were also severely flooded, less than two weeks before the scheduled opening. Officials vowed the event would go on. There was severe flooding in the smaller communities of the Siksika First Nation, High River, Canmore and Banff. This is how I arrived in Calgary on July 3rd, a mere 13 days after the floods. The trip in from the airport was enlightening. Any time we dipped into a river valley there were signs of uprooted trees, and debris everywhere. I stayed at a Bed & Breakfast which I picked months ago because it overlooked the Stampede Fairgrounds and the Saddledome. The Owner of the B&B lent me a cowboy hat and neck tie as I walked into downtown Calgary on the first day of the Stampede for the TELUS event. I passed the legendary Stampede “First Flip” Pancake Breakfast, transformed through the motivational skills of Mayor Nenshi into a “Hell or High Water” rally. I entered a TELUS room of some 600 people – I was the only one with a cowboy hat. Did I ever feel good when two other “cowboys” finally arrived…The event was an announcement for an amazing new office complex in downtown Calgary – TELUS Sky. I mentioned to TELUS CEO Darren Entwistle that I was touring the areas affected by the floods to see what damage was done and how Tree Canada could help. He immediately replied that as they had helped all along after the floods, TELUS would be there to help Tree Canada bring back the urban forest of Calgary. I was happy. The next day I met with Jill-Anne Spence, the Forester for the City and Nico Bernard, Parks Manager where myself and Tree Canada Adviser Gerard Fournier toured the City including the much-loved Prince’s Park. The Calgary Folk Festival was scheduled for July 25th (three weeks in the future) and the island was a veritable mess. For three days it had been scoured and flooded with layers of mud, branches and logs everywhere. Crews of city workers and volunteers were desperately cleaning up. A cacophony of pressure washers filled the air as crews worked hard to clean a 15 cm layer of mud off the grass, flowerbeds and roadways. Staff was totally unconcerned about the thought of some 12,000 people soon attending the 4 day festival in an area that resembled more of a mud pit then a pristine Festival location. We toured the bridges and park areas. We passed hedges of privet with pieces of garbage at the 2 metre level marking the high water mark. At night, we passed whole blocks of apartments abandoned and black. In the end, we looked at the damage, saw all the incredible activity of volunteers and the amazing spirit of the people of Calgary, and buoyed by the inspirational words of Mayor Nenshi and CEO Entwistle knew that Tree Canada would be back in 2014 with trees to replace those that were lost. I hung up my cowboy hat for next year’s Stampede.